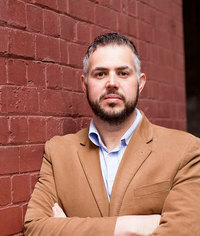 Edward Vukovic is a Melbourne-based writer and novelist. He has work published across numerous publications including The Journal, The Adviser, The Roar and Shoot Farken. When he's not writing about his poor parenting skills or fantasy football you will most likely find him hurling instructions at the television, steadfast in his belief that the players of whatever sport he's watching at the time are actually listening to his ranting. To ask Edward Vukovic questions, please sign up. Edward Vukovic When I was young, my mum would read to me and as we huddled on our beat-up old couch, I'd watch as she moved her finger along the page so I could…moreWhen I was young, my mum would read to me and as we huddled on our beat-up old couch, I'd watch as she moved her finger along the page so I could follow the story, conscious that her fragmented English was difficult to understand. If we didn't have a book to read, she'd tell me stories about her life and explained to me that through stories we could learn about ourselves and the world around us. I tend to spend a lot of time just watching people go about their lives and recalling my mother's words, I just know that there's a story to be told in whatever it is they're doing, no matter mundane it might appear. We’d love your help. Let us know what’s wrong with this preview of Annihilation by Jeff VanderMeer. We’d love your help. Let us know what’s wrong with this preview of The Fall of Gondolin by J.R.R. Tolkien. A wonderful read full of well-written characters. A play on words for the title and the book itself. My favorite character would obviously be Ziva!